When I talk of being a chocoholic someone please remind me that this dessert has none in it whatsoever and if I couldn’t have chocolate ever again, this would suffice. 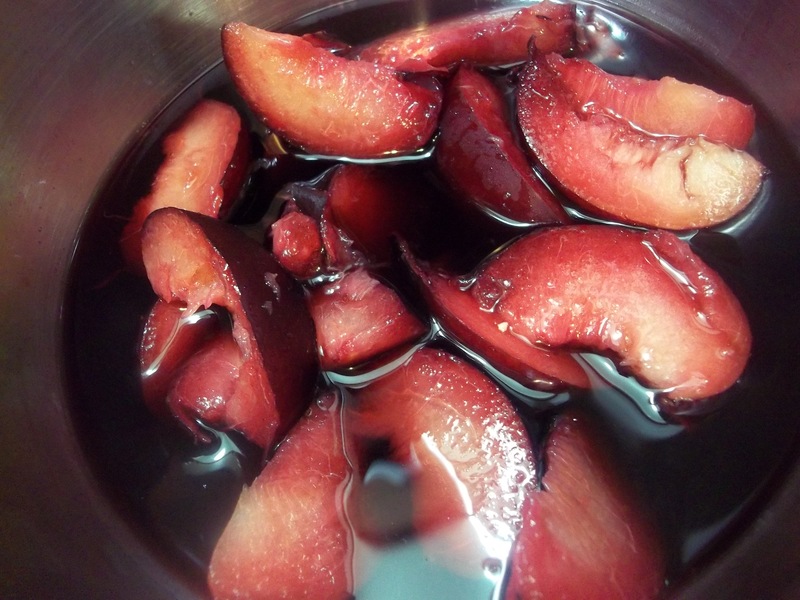 The plums with mulled wine would be great over cake, ice cream, yogurt, with whipped cream…I can only imagine the possibilities. Fresh Georgia peaches in Pinot Grigio, maybe with cardamom or coriander, is going to be my next fruity dessert experiment. 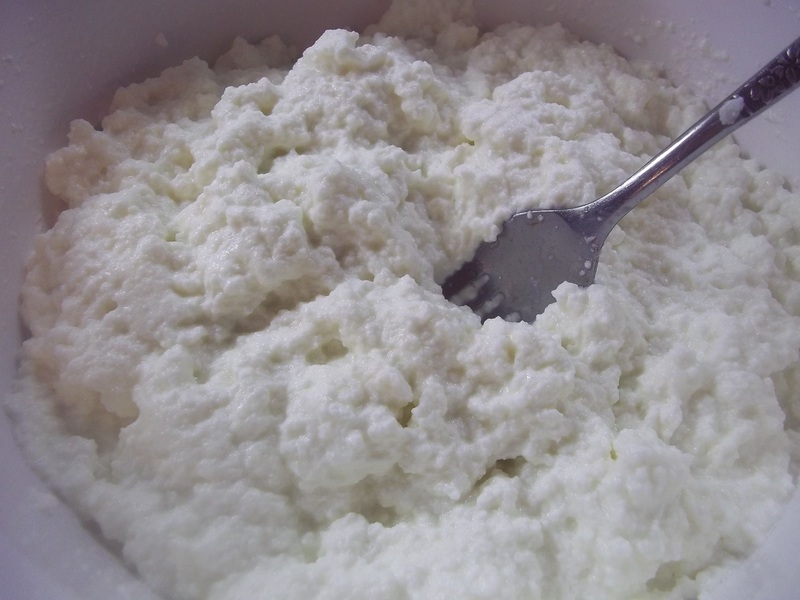 And there’s plenty of fresh Ricotta left. Place the spices in the center of a triple layer cheesecloth square. Tie up the ends with kitchen twine. 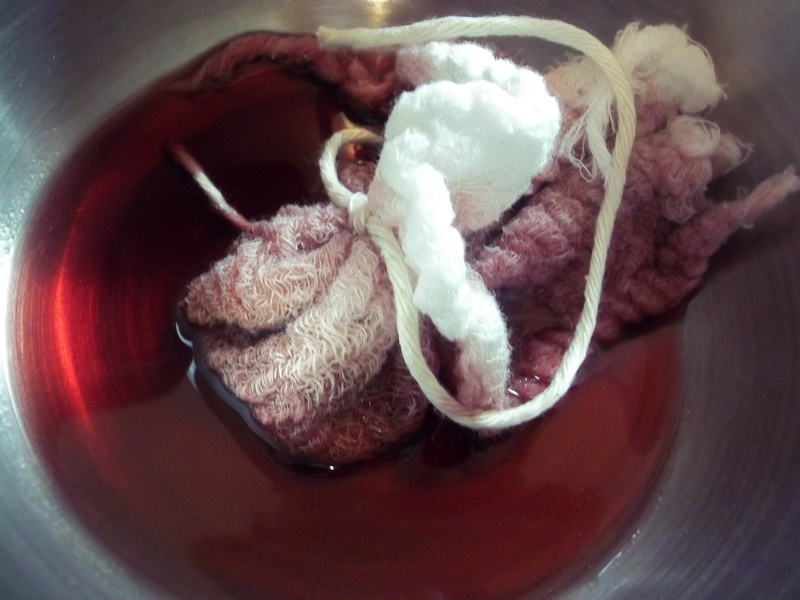 Pour wine into a small saucepan. Add the spices and warm just under a simmer for 15 minutes. 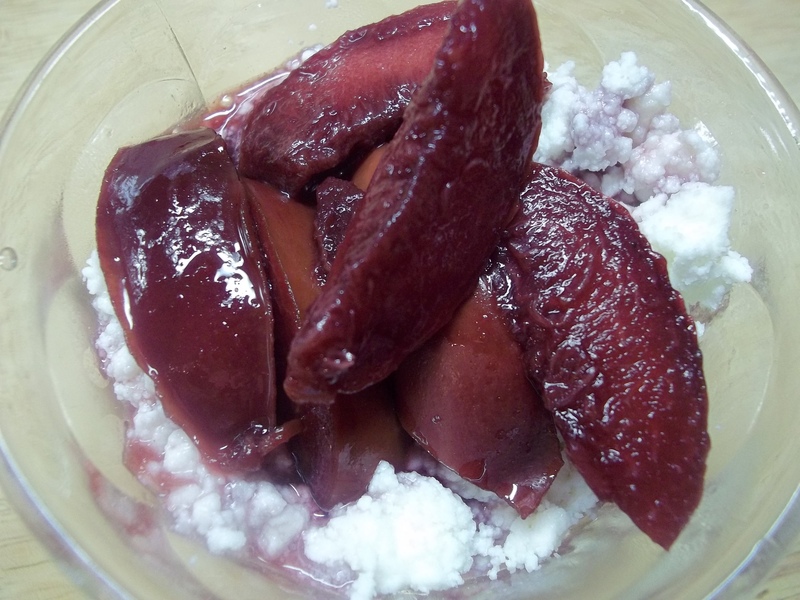 Remove sachet and add plums and sugar. Poach for 10 to 15 minutes. 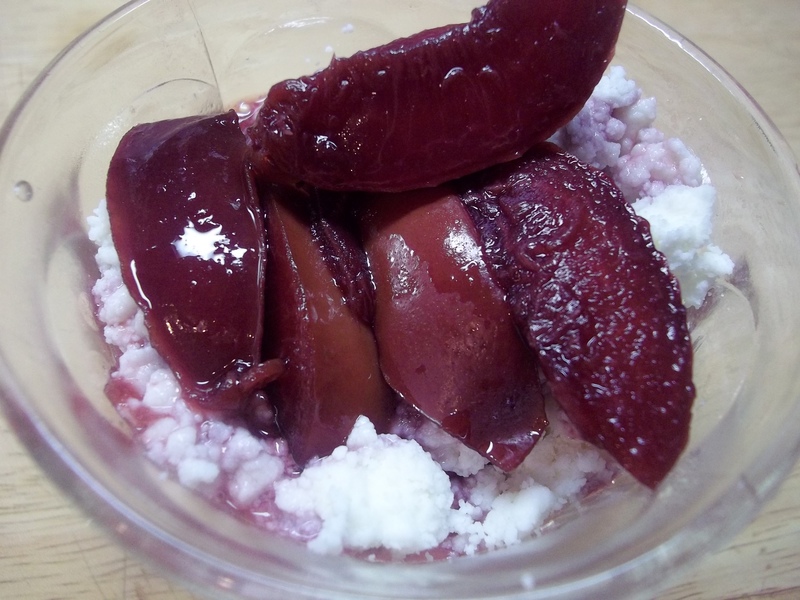 Scoop the cheese into two dessert dishes and divide plum topping between both. P.s. What is your name? Hope you don’t mind me asking. Trying my best to remain anonymous.